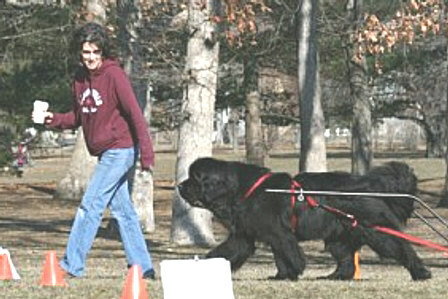 Historically, the Newfoundland functioned as a working companion to humans in draft and water rescue work. To help preserve these traditions, the NCA water tests and draft tests were designed. Each exercise demonstrates the natural abilities and the skills of the Newfoundland dog in water work and rescue situations as well as with carting and draft work.